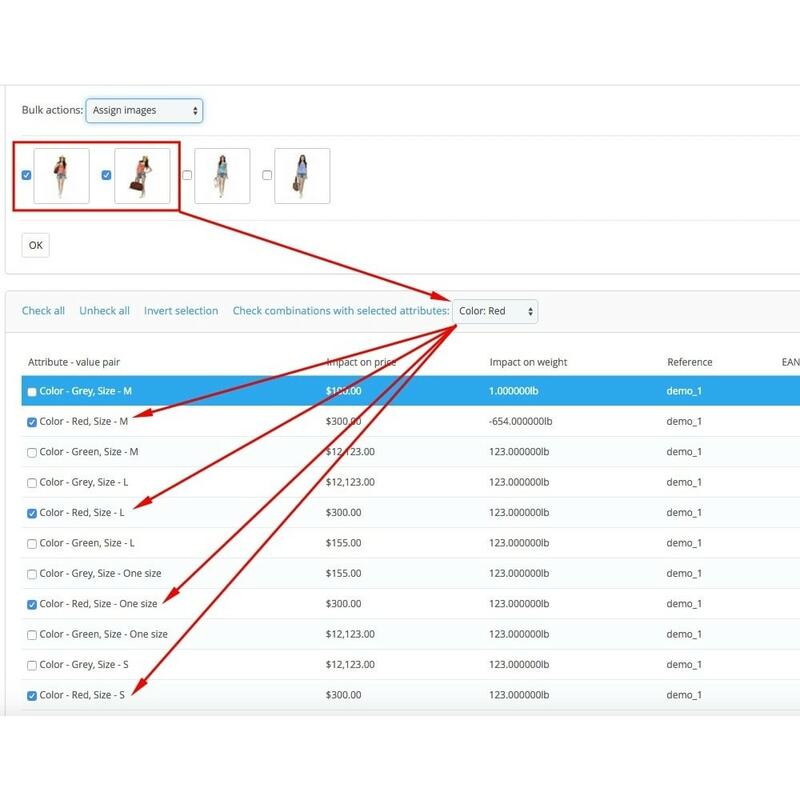 Bulk assign images for combinations, move products between categories, change category parents, assign customer groups and other actions, that will save your time. This module adds a bunch of useful mass action tools to your Back Office. For example, you have 500 combinations, and 100 of them are RED. You want to assign an image to all combinations that are RED. This module gives you the possibility to do it in just a few clicks. You will not have to open each combination one by one and you won’t have to manually click all checkboxes for RED combinations. Instead, you just select the required colour, then you select images and click OK. That’s it. Assigning is processed via ajax, so you can easily assign required images to all of your colours without reloading page. 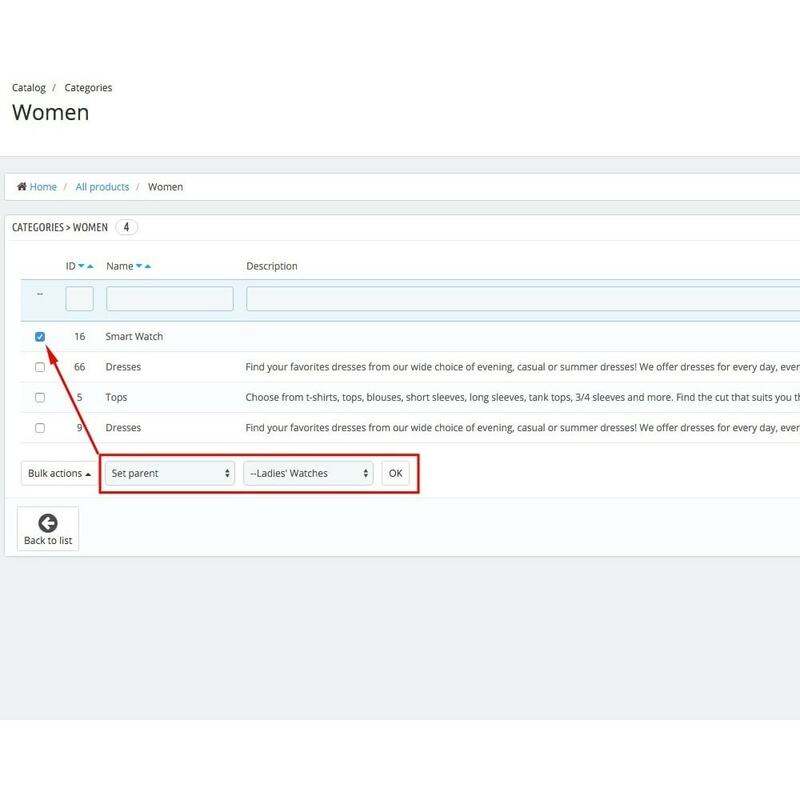 Another example: you added a new category, and you want to assign it to 50 existing products. 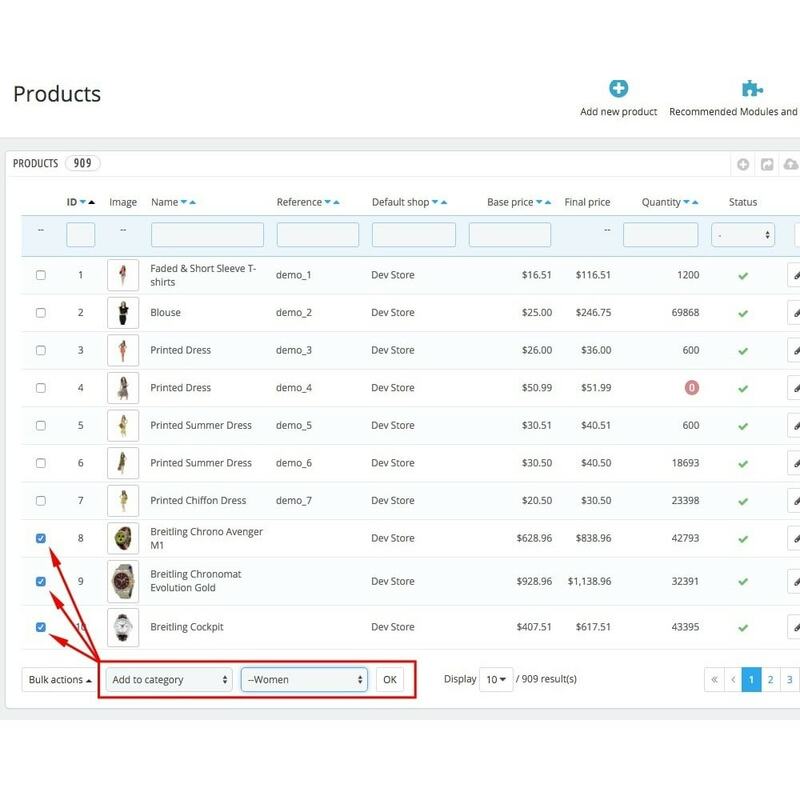 You don’t have to open and save each product manually, you can simply assign the required category to a selection of products. 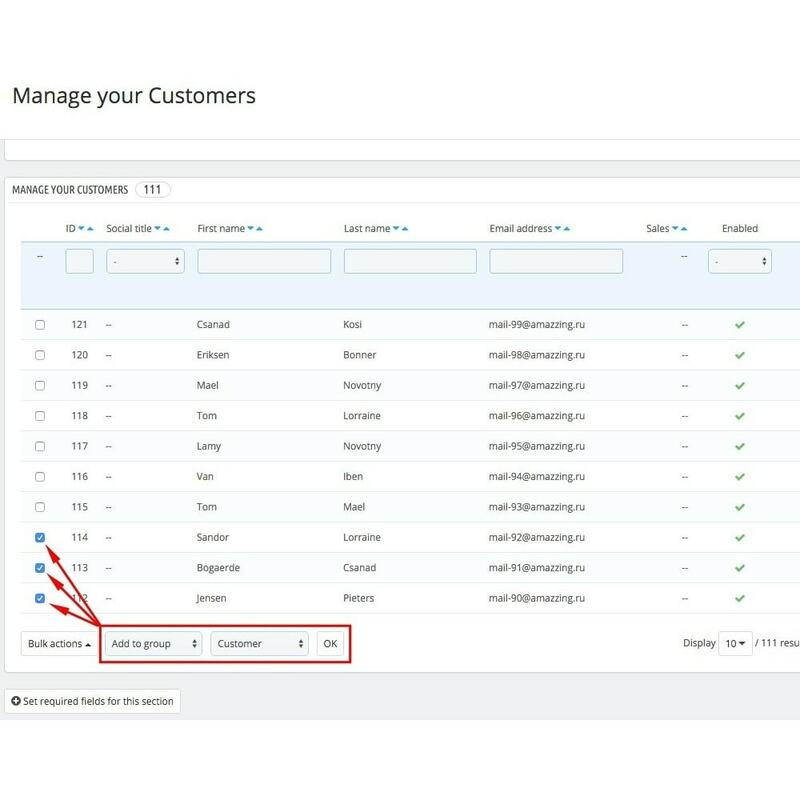 Bulk action tools are seamlessly integrated to your admin theme and are ready to use out of the box. You will not have a new configuration page that requires additional time for getting used to. Instead, you will just see new functional elements in your regular interface. 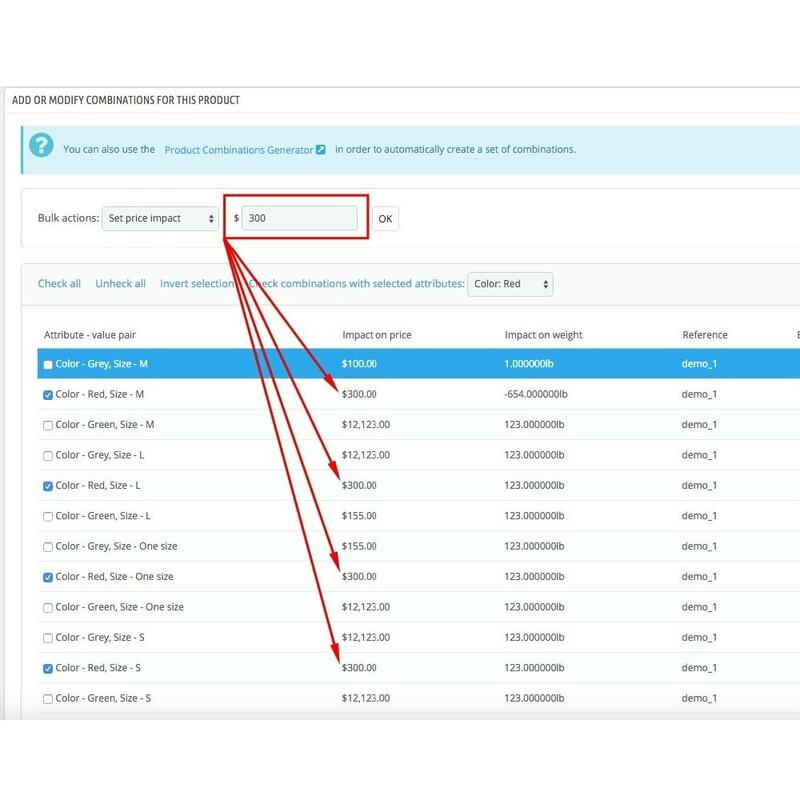 This module will allow you to display on your products the impact of price of each attributes to inform your clients about the options and customizations that you propose on your shop. Module is installed in a regular way, simply upload your archive and click install. Bulk action tools are ready to use right away.